Most things change, but there are some things that never change, namely the stupidity of crowds. This can explicitly be observed in the financial markets. 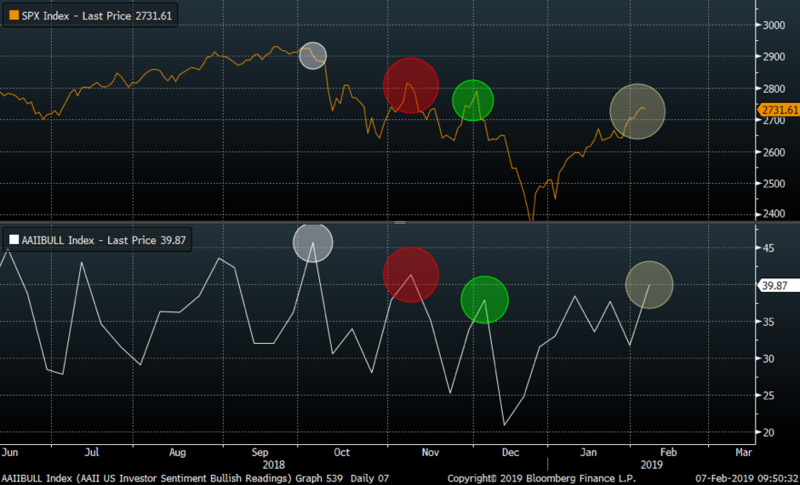 Below is the chart of the SPX (orange) and the AAII Bullish readings (white). There is no doubt that the crowd is once again bullish. All spikes since October have resulted in the SPX putting in a local high. 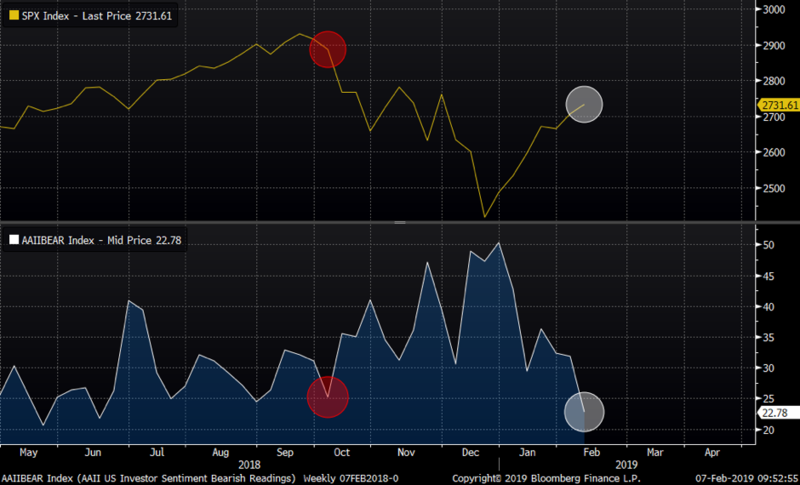 The below charts shows the SPX (orange) versus the AAII Bearish readings (white). As the market has spiked higher, all bears seem to have gone back to hibernation. Note we are now seeing rather extreme levels of bears capitulating. 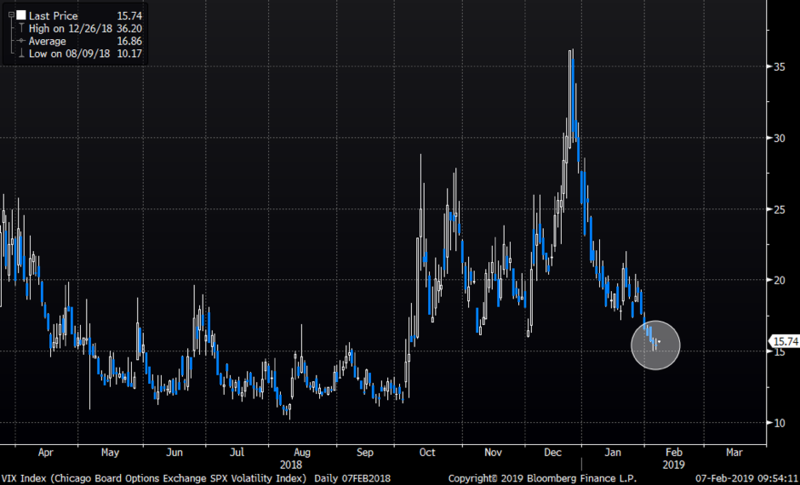 Soaring markets and Fed´s last magic has killed volatility. VIX has imploded. Frequent readers know our most recent logic on volatility. For more reading click here and here. We are watching greed and fear play out closely here as the narrative of markets could change abruptly.